Jurgen Klopp has named Conor Masterson, Nathaniel Phillips and Rafa Camacho in the provisional squad to face Manchester United. With Trent Alexander-Arnold (foot), Joel Matip (broken collarbone) and Joe Gomez (fractured leg) all missing in the Reds’ defence, Klopp has turned to his youngsters. 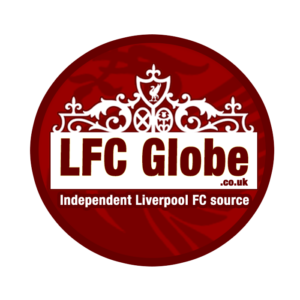 The manager has just two senior centre-backs available in Dejan Lovren and Virgil van Dijk, and with at least Matip and Gomez out for up to six weeks, he has had to look elsewhere. Masterson, Phillips and Camacho have all been in and around the Reds squad in the past year. Phillips was given a run in the side alongside van Dijk in pre-season this year and despite understandably being nervy at times, the 21-year-old’s physical presence was impressive. Masterson, meanwhile, is the former captain of Liverpool’s U18s side and has impressed since being promoted the the U23s. The 20-year-old returned from injury at the start of November and has regained his place as a regular starter for Neil Critchley’s young Reds. He was named on the bench for Liverpool’s Champions League quarter-final against Manchester City last season and Klopp is aware of the youngster’s potential, speaking previously of his confidence and promise. Academy winger Camacho was also heavily involved in pre-season and slotted in to different positions for Klopp, including at right-back. With Nathaniel Clyne only just returning to fitness, Camacho’s versatility to play at the right hand side of defence could be needed in the coming weeks. James Milner, however, is likely to start at right-back alongside Virgil van Dijk, Dejan Lovren and Andy Robertson in defence. Whilst the youngsters are unlikely to get a start against Jose Mourinho’s side, the experience could be invaluable as they may be called up on later this month. Midfielders: Fabinho, Keita, Henderson, Wijnaldum, Milner, Shaqiri, Camacho.